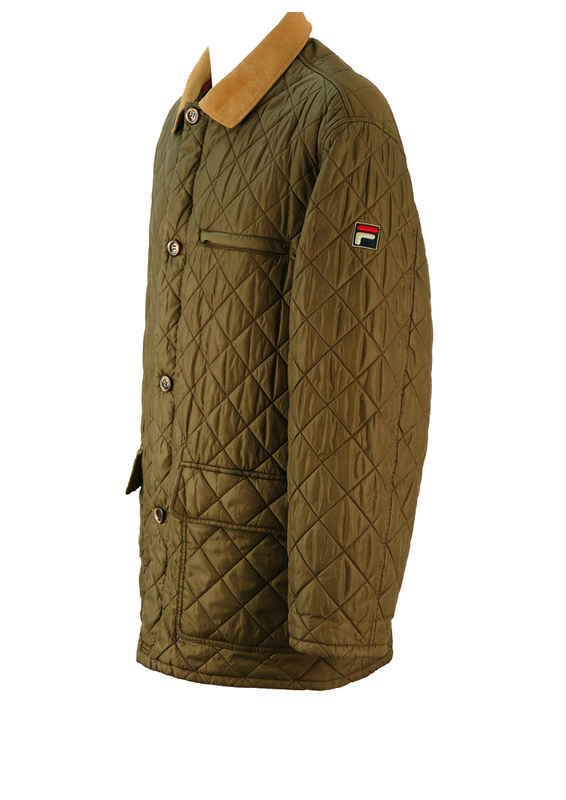 Fila quilted jacket / coat in a khaki collar tone with contrasting camel coloured suede collar. 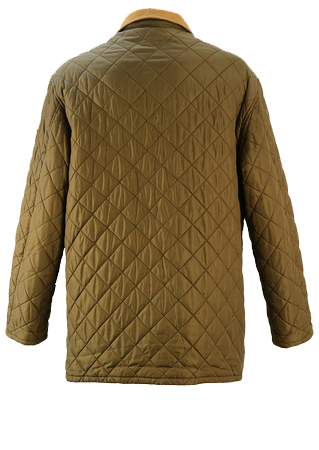 Design features include a zipped seam pocket at the front as well as two flap fronted pockets. The lining is burgundy and khaki in colour with an additional inner zipped seam pocket. 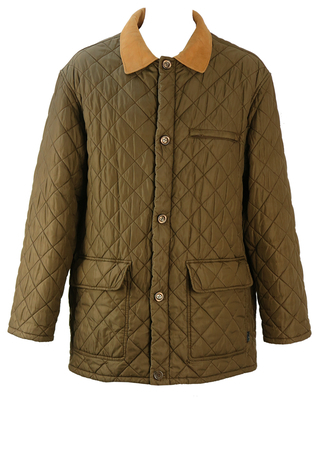 The jacket fastens with a zip that sits beneath an overlay of button fastenings. 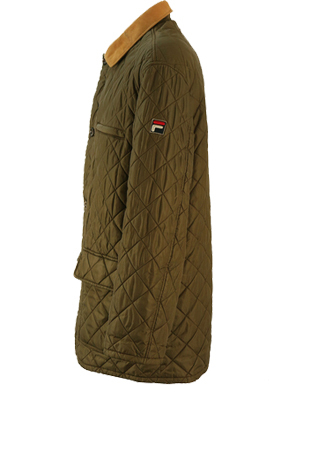 The sizing label states a USA L, Italian 54, German 54 and French 5 which we have equated to a UK size L/XL. Please refer to our measurements for further sizing guidance. 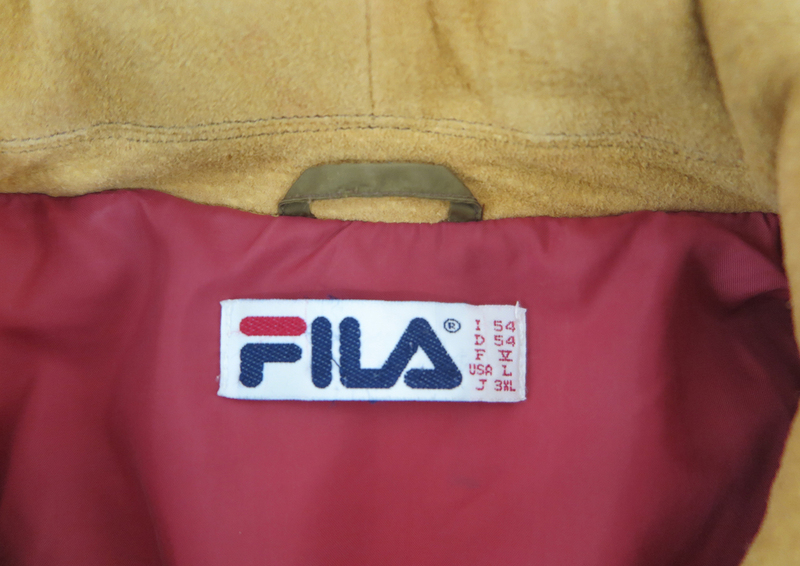 There are some faint marks to the collar although they are barely noticeable and the last button is a replacement button although it has been selected to match the original buttons as closely as possible – please refer to our pictures for further guidance. We have reduced the price from £60 – £50 to allow for this. The jacket is otherwise in excellent condition.